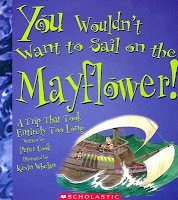 Almost Unschoolers: Happy Mayflower Day! Did you know today is Mayflower Day? At least, that's what I read on About.com, Family Crafts' Long List of September Holidays, where I find most of the obscure "national" days we like to celebrate. And, Wikipedia does mention, that the Mayflower left England on September 16, 1620 (if you're going by the Gregorian calendar, anyway), arriving in the New World 66 days later, making it, according to Peter Cook, "A Trip That Took Entirely Too Long". I didn't figure the younger children, especially, have a real concept of just how long 66 days is. 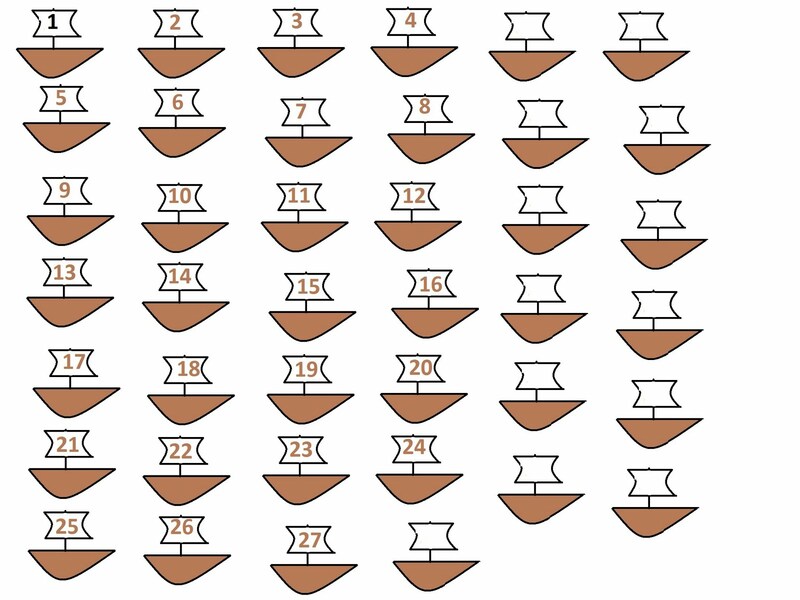 So, I decided, at the last minute, to try to put together something in our paint program, so they would have 66 Mayflowers, to place on the calendar each day, starting today, to mark the length of the journey. What you see below, is a work in progress. It's where I was at, when we decided really, we needed to celebrate the day properly, by launching our own Mayflower in the little creek, in front of the library, downtown. We didn't have any walnut shells, so we settled for a milk cap Mayflower. There was quite a bit of discussion as to whether we had used too much clay, to hold our sail up. ...which it did, pretty quickly. This time, it stayed afloat, caught the current, and with a tiny bit of assistance, made its way down the creek. In fact, it looked to me like the current was going to carry it right to its own "Plymouth rock", if not for the hand of a waiting child. Apparently, the librarians have asked all the children in town to be careful not to let things get stuck against the grate, where they can block the flow of water. And, apparently, I have a number of rule abiding citizens living in my house. ...before we returned home, to mark the beginning of the historic journey. How neat that you have a readily available creek. This is something that I miss from my own childhood. Love your mini-Mayflower. This is so cool. I would love to do something like this with Selena, but our rivers and streams are not that safe to be that close to. 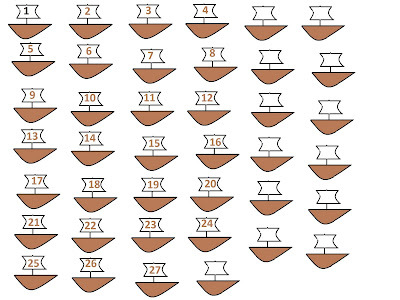 I've got a bunch of walnuts carefully cracked hiding somewhere upstairs for me to make boats with....... Now to find them. I love the lesson. Did you watch the Charlie Brown special too? I love this activity. It is so full of so many learning activities...from bouyancy to the passage of time, not to mention, of course, history. Wonderful!! The stream by your library is beautiful. Ticia - I thought about it, but Charlie Brown is so much a part of our fall fun, I was afraid to kick off with him too early - once we watch one, we want to watch them all!